As I always say, building muscle and proper nutrition go together like peanut butter and banana — not jelly. Because jelly is not as nutrient-dense. Let’s discuss the exercises and foods you should eat to maximize your gains and to bulk up fast. Listen to Dr. Neal address this topic on Episode 660 of the podcast Optimal Health Daily. If you want to bulk up, the foundation should involve compound movements and lifting heavy weights. Because you’re going to be heavy lifting, the number of repetitions you will be able to perform will decrease. I would like to mention that I don’t often recommend beginners perform the exercises about to be described. If you’re a beginner, it is vital to start at a pace that feels comfortable to you. For training purposes, the American College of Sports Medicine recommends aiming for a range of 3-5 repetitions. If you can perform more than 5 repetitions, the weight might be too light. You can perform multiple sets of this same exercise with the goal of achieving 3-5 reps per set. Just know that when you lift heavy, you need a longer break in between sets to recover and regain your strength. 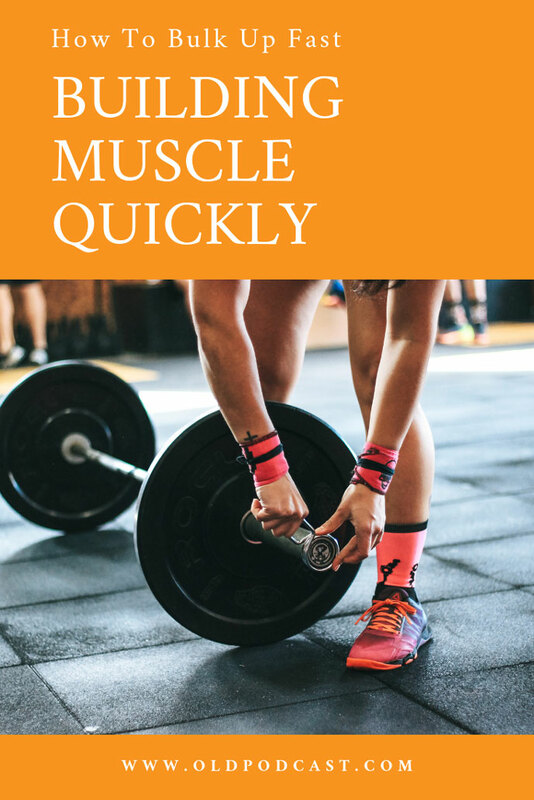 So rest those muscles for 2-3 minutes in between the sets. On the other hand, the weight shouldn’t be so heavy that you can only lift it once. If you’re not very experienced, trying to lift a heavy weight only one time (what we often refer to as your 1-rep max) can lead to injury. That’s why it’s often not recommended. If you’re more advanced, you can work up to performing 1-rep maxes. Remember to always have a spotter when you perform these. What Types of Exercises Will Help? What exercises should you perform to help with bulking up? Earlier, I mentioned something called compound exercises. These are moves that use multiple muscle groups at the same time. These are the key moves that will help the bulking up process. I will also mention that you don’t want to perform these types of heavy lifts day after day, week after week. You want to mix in some cardio — maybe after a couple of weeks of lifting heavy — and throw in some lighter sets. Variety is important to avoid imbalances and injury. What should you eat to support all of this hard work? Of course, protein is important. This is because muscles are made of proteins. I will use my psychic abilities and say that chances are, you’re probably already consuming enough protein each day. How could I possibly know this? It's because of the amount of data that has been collected on how much and what types of food populations around the world consume regularly. What we’ve learned is that most of us in the western world consume plenty of protein each day. The question is: do we need protein immediately after a workout to help support muscle growth? I discussed this during last week’s Q&A, but I’ll repeat it here. After your workout, especially after strength training, researchers are discovering that consuming 20 grams of leucine-rich protein is often recommended. Leucine-rich proteins can be found in animal products as well as beans, lentils, nuts and seeds. How much is 20 g of protein? 3 oz. of chicken would contain about 27 grams of protein. 3 oz. isn’t much — it’s about the size of a deck of cards. Consuming some carbohydrate after a workout is also beneficial. This is because carbohydrates can help our bodies absorb that leucine-rich protein more efficiently. The American College of Sports Medicine recommends we aim for about 1 gram of carbohydrate per kilogram of body weight after a workout. This does take a little bit of math to figure out, but stick with me, it’s not too bad. Let’s say you weigh 150 lbs. You first need to convert weight in pounds to weight in kilograms. To do this, divide your body weight by 2.2. Using my example, you'd divide 150 by 2.2. This means 150 lbs. is equivalent to 68.2 kg. No matter what you weigh, use this same formula. Now that we know your hypothetical body weight in kg, the math is super simple! Because the American College of Sports Medicine says you need 1 gram of carbohydrate per kg of body weight, you don’t need to do anything else… you have your answer! That means if you weigh 150 lbs., you should consume about 70 g of carbohydrate after a workout. This would be like eating a bowl of oatmeal topped with blueberries. Combine that with 20 grams of leucine-rich protein, which would be like 6 oz. of Greek yogurt, and you’ve met all of your post-workout needs. Researchers are discovering that the timing of this post-workout meal is important. The goal is to consume these foods within 20-30 minutes of finishing your workout. After a workout, the demand for protein is high which makes it the best time to replenish it. And again, because carbohydrate actually helps with protein absorption, eating both within 20-30 minutes of your workout is ideal. Like I mentioned last week, there’s no need to consume too many calories to bulk up. Typically, I do not recommend individuals gain weight prior to building muscle. Instead of exceeding their caloric needs, I prefer that they simply meet them.